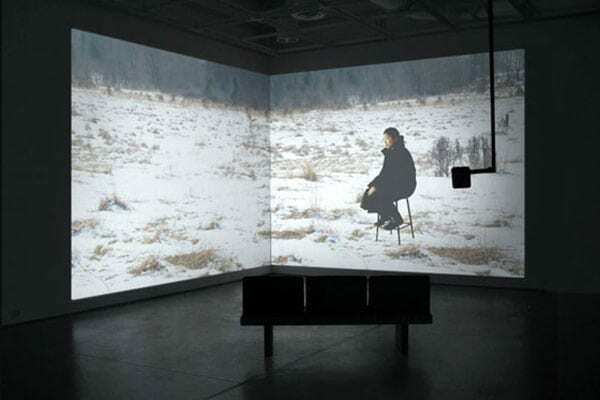 Bang Geul Han is an interdisciplinary artist who uses a variety of media to explore aspects of life commonly labeled feminine, such as love, emotions, confessions, and gossip. 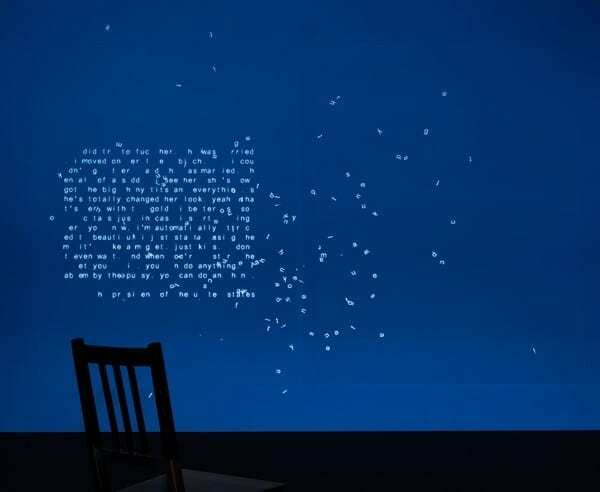 Working with moving images, performance, text, interactive media, and code, Han calls attention to the way that women’s voices and stories are sidelined or diminished by such labels. Her work has been exhibited at the Queens Museum, A.I.R. Gallery, Cuchifritos Gallery, in New York City; Galerie Les Territories, Projet Pangee in Montreal; and Centro Internazionale per l’Arte Contemporanea in Rome among other venues. She has received a number of artist residencies and fellowships including Artist in the Marketplace (AIM) program at the Bronx Museum of the Arts, Lower Manhattan Cultural Council’s Workspace program, MacDowell Colony and Skowhegan School of Painting and Sculpture and, most recently, The Center for Emerging Visual Artists. She lives and works in New York City. Erin Marie Sickler: You received an MFA in Electronic Integrated Art from Alfred University. Can you define what Electronic Integrated Art means for your own practice and what if anything would you say distinguishes it from New Media Art? Bang Geul Han: To a certain degree, Electronic Integrated Art and New Media Art are interchangeable terms relating to a host of practices involving electronic and digital media. This includes video and sonic art and interactivity. Electronic Integrated Art differentiates itself somewhat by explicitly situating itself within a broader continuum of practices that are emphatically interdisciplinary and can include more traditional media as well as “new” media. Using a computer as an integral part of your art practice doesn’t mean you have to forsake paint or printmaking ink. This was one of the things that attracted to me to the program. EMS: Where did your interest in interdisciplinary art begin? BGH: I studied painting as an undergrad but eventually began experimenting with video and performance. At the time, I was getting bored and frustrated with painting. Grappling with the possibilities of time-based media proved exhilarating. Initially, I approached video as a new way of storytelling, away from the flat canvas, but I soon realized that I was far more interested in the instantaneous energy that video seemed to capture, rather than work with the more established conventions of storytelling. A defining characteristic of our current media environment is dialogue or interaction. Historically, art audiences are imagined as passive viewers. In what ways do you think making interactive art changes or challenges the way we think of art and people’s interactions with art? I think it’s important to first acknowledge that the distinction between passivity and interactivity, even from a historical perspective, is far more problematic and messy than it might at first appear. If we think of interactivity as an active process of critically engaged negotiation, this notion could easily apply to works that predate explicitly interactive art and, inversely, making the viewer/user push some buttons doesn’t necessarily guarantee that the work offers interactivity in this sense. That said, interactive artworks prove to be powerful vehicles to frame and theatricalize these processes of negotiation and investment. This includes questions of choice, complicity, and agency. For me, interactive art crucially helps to break the spell of a disembodied, timeless conception of the viewing experience to something resolutely situated and static. EMS: What are some of the greatest challenges facing you as an interdisciplinary artist working with interactive technologies and time-based media? BGH: There are, of course, conceptual challenges but, to be honest, some of the biggest, ongoing challenges are practical in nature. As an individual artist writing her own code, I inevitably put myself in a very precarious position. Something as banal as an OS update or a change in a service license agreement might render what had been a fully functioning project completely unusable without extensive maintenance and re-writing. This is par for the course for commercial companies but, as an individual without these kinds of infrastructure or support, this often means that I’m often caught between developing new work and having to revisit and maintain older projects. I embrace the ephemeral nature of what I do; it’s part of my critical practice, but, at the same time, this does have implications for how this and similar works will be represented or collected by museums, given these practicalities. 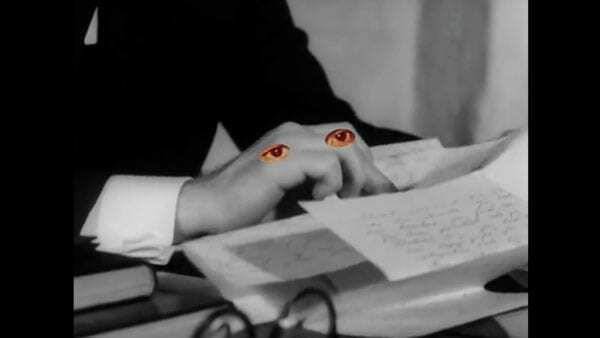 EMS: In more recent works such as Dear Tomas (2018) and How to Remember the Black Book in Seoul (2017), you appropriate or remix the work of other artists (in this case Ingmar Bergman and Robert Mapplethorpe). Do you see these quieter, more self-contained explorations as a departure from your interactive works? What attracted you to these artists and their works in particular? BGH: I don’t necessarily see it as a departure. The idea of converging voices and stories has been an ongoing concern in much of my work, where the choice of media has more to do with the specific intent and conceptual framework of the project at hand. I often find myself working concurrently on multiple projects. It wouldn’t be too unusual for me to be experimenting with watercolors while also working on a video project and an interactive installation. The process of making interactive works can sometimes make you feel like you’re banging your head against the wall, given how much problem-solving and troubleshooting is usually involved. These time-based projects offered a form of immediacy that helped keep me engaged in my practice in a very different way to the more long-term needs and trajectories of my interactive projects. I have huge admiration for both artists but their use in these projects builds upon very specific personal encounters with their work. In some sense, the actual memory of these encounters (or non-encounters) is the subject of these works. EMS: Can you name some of the major influences on the work you are doing now? BGH: There’s a long list of artists and writers I’m indebted to. As a start, I could mention Anne Carson, N Katherine Hayles, Glenn Ligon, Sophie Calle, Chantal Akerman and Ana Mendieta. I’d also like to stress the importance of my day-to-day interactions and conversations with friends and colleagues as well as numerous chance encounters such as overheard conversations and observed interactions. EMS: You recently received the Visual Artist Fellowship from The Center for Emerging Visual Arts in Philadelphia, a two-year program to help artists develop their work. What projects or explorations will that fellowship support? Tell us about any new projects you have coming up. BGH: The fellowship has offered me a great opportunity to work on projects that require far longer timescales for development. In this regard, I’m using the fellowship to collaborate with composer Yoon-Ji Lee and artist Steven Mygind Pedersen. We’re creating an operatic work that will hopefully culminate in both a performance piece, combining an acoustic and electronic score with generative animation and video, and a related art installation intended for exhibition. There’s a long history within opera of seemingly self-destructive or doomed female protagonists. In some sense, this project tries to critically unravel some of this mythology while exploring the inherent violence and beauty involved in succumbing to or resisting cultural and linguistic frameworks. Erin Sickler is a mindfulness & creativity coach living in the Hudson Valley. A former NY art curator, she has worked with some of the world’s most successful living artists and now writes about expanded modes of being on the creative path.